Now on my 3rd course!!!! 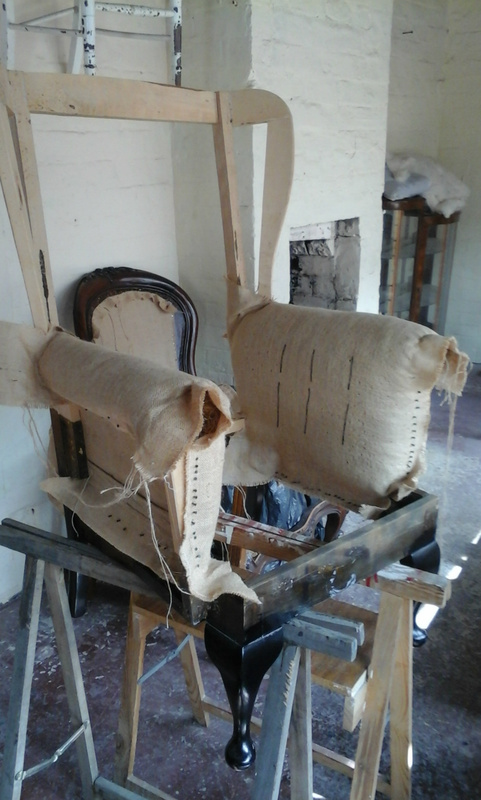 I have always had an interest in upholstery but found it difficult to find a suitable course. So it was great when my husband spotted Garry's workshop in the Jewellery Quarter and I signed up for the 30 session course. 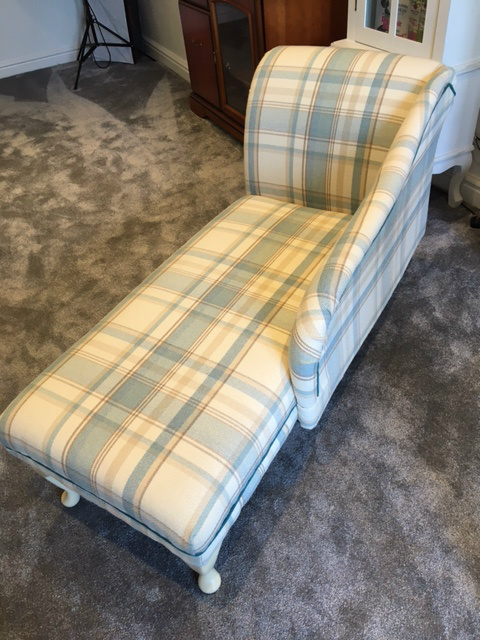 I am now on my 3rd course having completed a Victorian Ladies Armchair, part completed a Club Chair and currently working on making a deep buttoned storage Ottoman. Needless to say the course is very addictive. Having an office based job its really good to be able to immerse yourself in something creative. I was surprised how much you actually get in the moment and purely concentrate on what you are working on. Garry's style of teaching whilst relaxed is still very thorough, there are no short cuts! He clearly explains and demonstrates what you need to do and builds your confidence. Its amazing how you pick up the skills. I have met some lovely people on the course of all ages and backgrounds. Its very sociable and enjoyable plus interesting seeing all the different projects and how they progress. Fantastic course for those that want to learn traditional upholstery. I never knew how much goes into re-upholstering a chair. Great group of people and tutor Garry is extremely supportive and knowledgeable. If you want to try something new, this is fantastic. Upholstery with Garry is so much more that the term ‘upholstery’ might immediately suggest. This is as much as course on furniture restoration as it is on upholstery. Garry is an exacting taskmaster - but in the easy going workshop filled with an eclectic mix of people, this is in no way onerous. 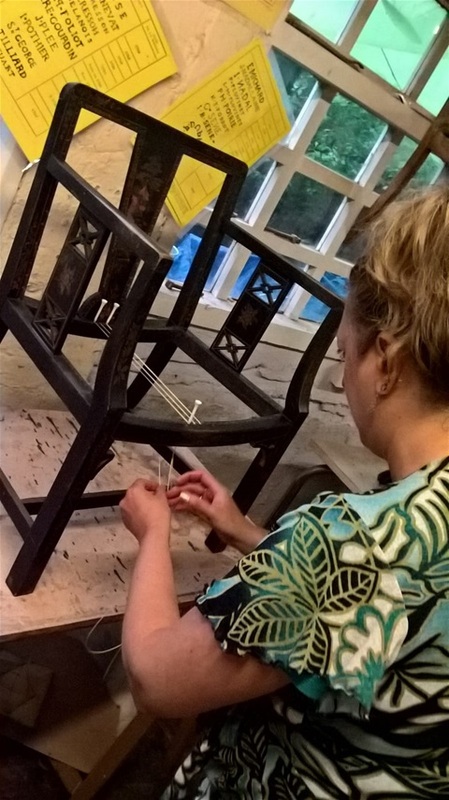 I started with a ‘four day course’ which was an excellent way to begin - as it allowed me to really get started on ‘my’ chair. 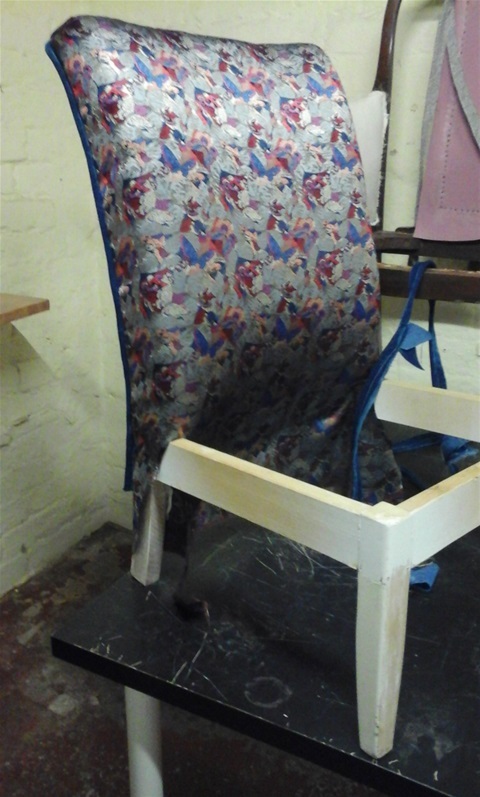 However, forget any ideas of ‘upholstery’ for the first few sessions, it is all about ‘down-holstery’. 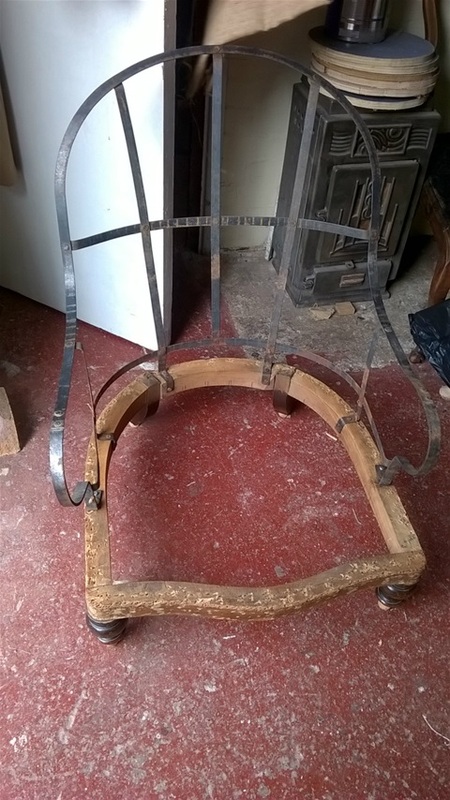 The chair must be stripped back to bare wood, ready for the process of re-creation. This involves first removing the base webbing and springs, then the existing fabric - including the tacks and/or staples originally fixing the fabric. How long that takes depends upon how difficult this is - I spent 26 hours in the workshop ‘down-holstering’ before reconstruction could begin, and 12 hours later I am still repairing the frame. However, as wood work is something I have never done (Garry even had to show me how to use a saw properly) I felt I was learning new skills practically every hour. As a rookie, it was great to see how other projects were going - and to see them progress too. 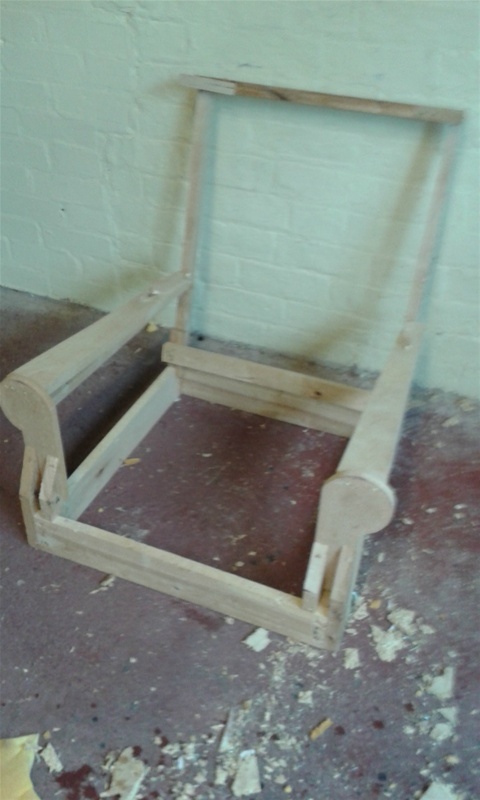 There is a chair somewhere in the workshop at pretty much every stage of the process. Sessions can be booked as you go along, giving great flexibility for those with busy lives. Students come from all over the country, and from all walks of life, making for interesting chat in the workshop - although the sound of hammering and the concentration required for quite a lot of what you do, tends to limit constant chatter. Garry moves around the workshop checking on how you are doing, offering a word of advice or a demonstration of a practical skill. It is very laid back, but the finished products are of very high quality, as a result of Garry’s experience and insistence on ‘perfect’. Most students are doing projects for themselves, but such is the standard of work produced, others plan to sell their finished pieces. I would highly recommend this Upholstery experience to anyone that is interested in really getting to grips with the whole process of traditional furniture making. You need to be in for the long game, but can be reassured that the process will be much enjoyed, together with offering the opportunity to learn new skills at every turn. As a complete beginner I signed up for 30 sessions with Gary. I have learnt a lot in a relaxed environment, everyone on the course is friendly. The experience is a creative one and I have enjoyed the process of learning new skills. It's great! Had a fab weeks course with Gary.from complete novice I learned deep bottoming and saddle stitching, making patterns for s boat soft furnishing refurb. Really relaxed and friendly learning environment. Fantastic day on Friday 25 May attending the Caning Workshop. 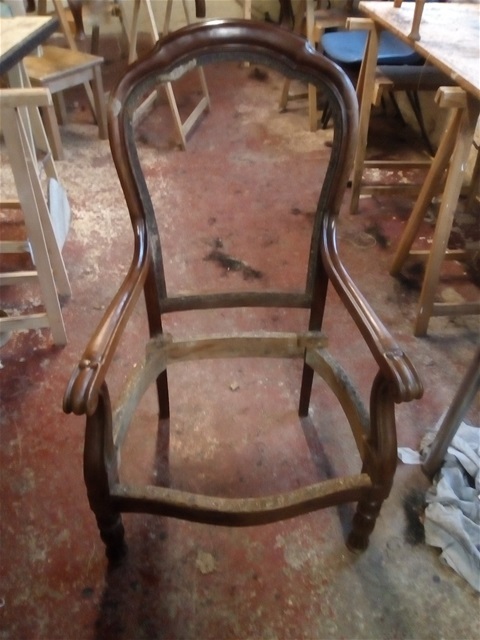 Loved learning a new skill and can't wait to finish my Regency chair and continue this skill alongside my traditional upholstery skills. Turned out to be a brilliant gift!!! My partner gave me a gift voucher for Christmas to start an upholstery course that I had been meaning to do for a long time. This turned out to be a brilliant gift and in January I joined a class of upholsterers of differing levels in Birmingham run by Garry, a true professional and a very patient teacher. 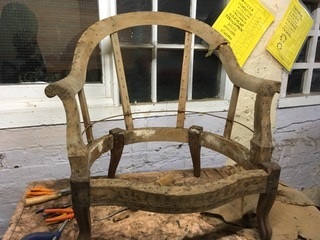 Coming from someone who had been office bound for years and not knowing one end of a wood chisel from the other I set out to restore an antique 1890 chair which in itself is a daunting thing to do particularly as every week the poor old chair looked more miserable each time I set to work on it removing tacks, nails etc. Garry gave me the reassurance and confidence to believe that it would be alright in the end and when I finally got to the stage of polishing the beautiful wood and realising that it will be lovely when it is completed I feel proud that I have come so far in such a short time. 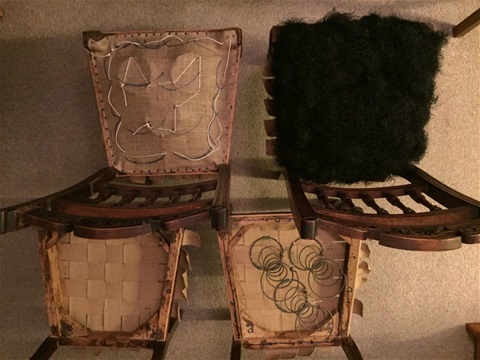 I have collected many books over the years on the subject of upholstery but I can say from my experience at the class that the hands-on approach teaches things that you can never pick up just from reading it in a book. Well worth the experience and I look forward to the next project when this one is completed. 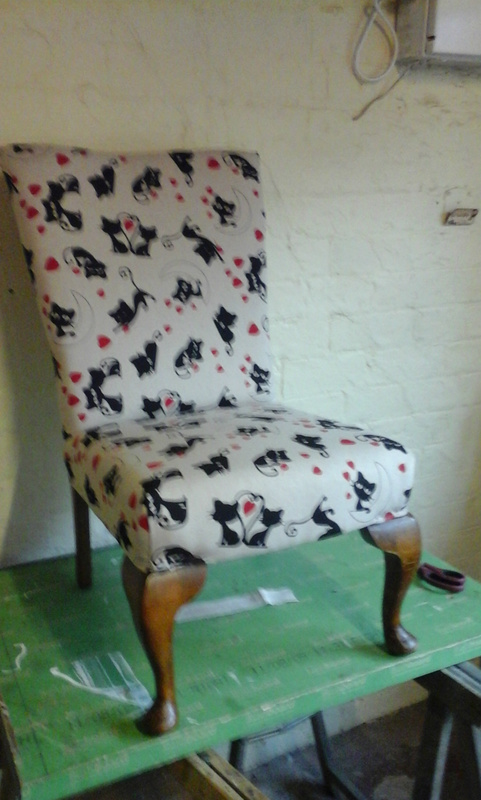 This is the second chair I've completed, and belive me it be it won't be the last! So I think its important that I warn anyone who is looking into joining Garry's class that it's probably best that you don't start in the first place! You'll only gain an addiction that will be hard to overcome. 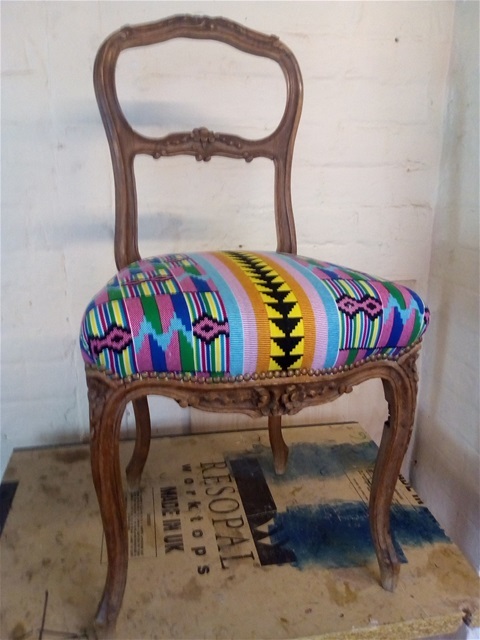 People start with a stool and before you know it they've bought 5 other chairs off ebay to upholster. The worst kind are those who have even started making their own frames. Total gonners! So any who don't heed my warning may as well know that Garry is the 'Bees Knees'. We get traditional upholstery taught by a Master Craftsmen (if they haven't given him a certificate yet, they should do), using springs and tacks and traditional techniques. Yes he teaches you upholstery but he teaches you patience too. In the three hours: you use your hands, your eyes and your mind. You get totally immersed - although you do get to stop at times for a large mug of tea and a moment to admire your own and others handywork. Lovely! If you are looking for a quick fix - forget it! After finally retiring and escaping from 25 years in an office environment, what next? My previous 20 years had been spent in the antique trade. I had always promised myself that one day I would look into learning furniture restoration and upholstery. Whilst wandering around the Jewellery Quarter, I stumbled across a sign offering the exact courses I was interested in. After speaking to Garry, I was impressed with his knowledge and professionalism and decided to sign up for a 30 week course. I definitely made the right choice. If you are looking for a quick fix - forget it! Garry is a fountain of knowledge and he will take you through each process, working at a pace you are comfortable with. He ensures that each stage is completed perfectly, which results in the end product being something to be proud of. I find others on the course friendly, fun and interesting. As most people have common interests there is never a lack of things to discuss. Shortly starting my forth chair!! This course is fun, friendly and addictive Garry knows his stuff and is a perfectionist which makes for a good experience! I joined Garry's upholstery class to create a bit of time for myself. My regular work is mostly desk bound and I spend copious amounts of time taking my son from toddler group to toddler group. 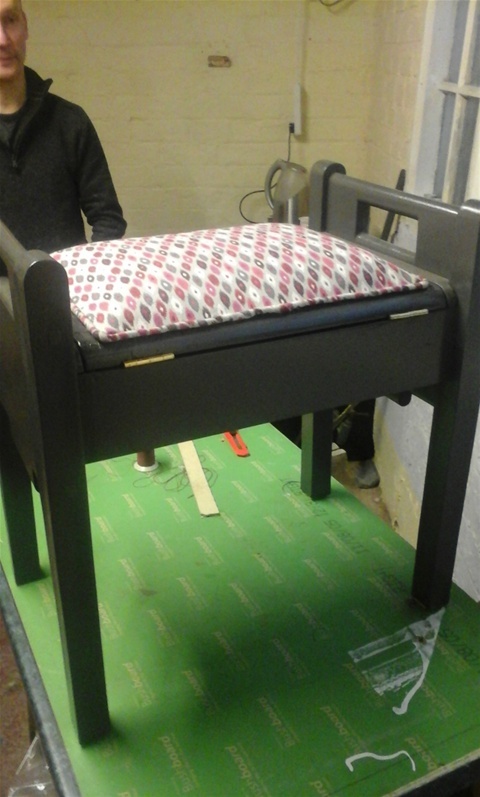 Upholstery is a great hands-on activity. You will meet lots of friendly people and enjoy a few hours of pure creativity. I've upholstered a chaise longue fully and now I'm upholstering an antique armchair. Everyone is very accommodating and Garry is very flexible. I recommend the class whole heartedly. 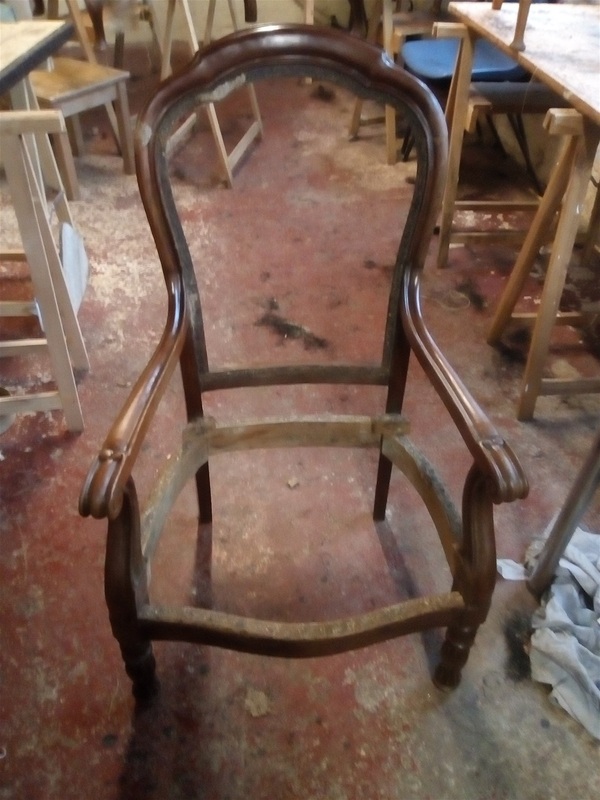 Just wanted to say thank you for a great weekend, we were both shattered by the end of it but very satisfied with the progress we'd made on our 4 dining room chairs. It was only when we got them home that we realised that we'd actually bought them home in four different stages! (see pic) The challenge will be to get them all to the same stage, all looking the same! We really enjoyed the informal and relaxed way you ran the sessions with different people working on different projects and all at varying stages and you keeping everyone going with encouragement and instruction whenever necessary. I originally signed up for a four day course in order to finish a chair that I’d started in another class. It soon became apparent that I needed to re-do a lot of my previous work and very quickly signed on for another 90 hrs. 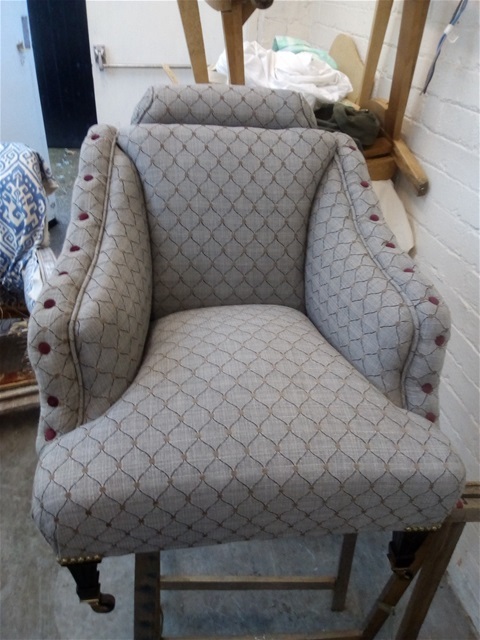 Its obvious that Garry has a great deal of experience in both Upholstery and teaching and very skilled he is too - in both fields. I particularly like the fact that he can manage to keep an eye on everybody in the class, more often than not he gives attention without being asked and he treats each person with respect and good humour. Most importantly he instills confidence in his students, I’m tackling things that I wouldn't normally have taken on but he makes me feel I can do it - and I find I can! Its a great class, constant tea and biscuits and french lessons thrown in for free - Thank you! I originally signed up for a weekend course and enjoyed it so much I signed up for the year. 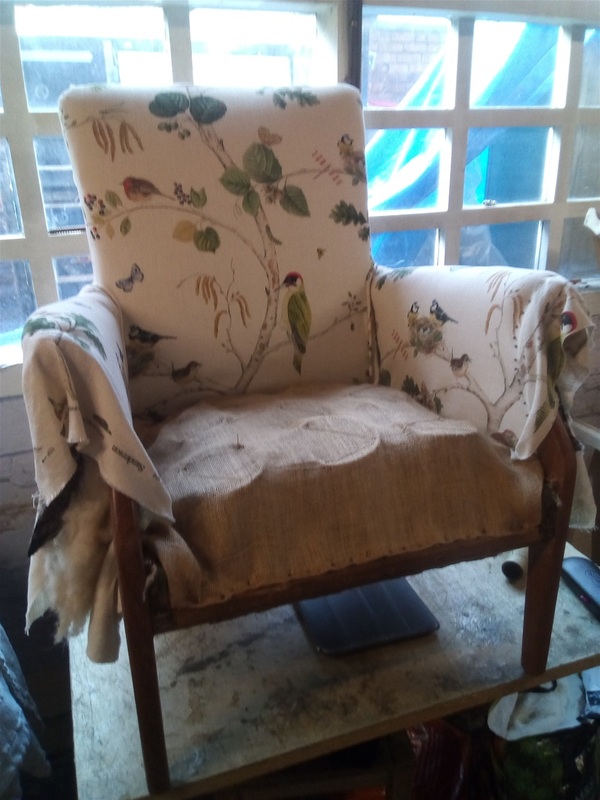 I am enjoying learning a new skill and am currently re-upholstering a nursery chair, although I have already purchased a couple more chairs that need some love and attention. 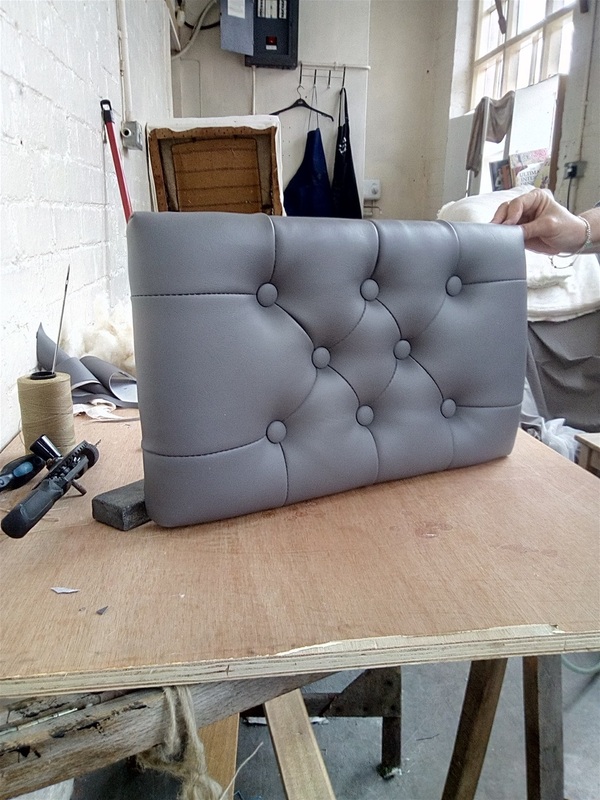 Garry is very patient and his knowledge of traditional upholstery is second to none. 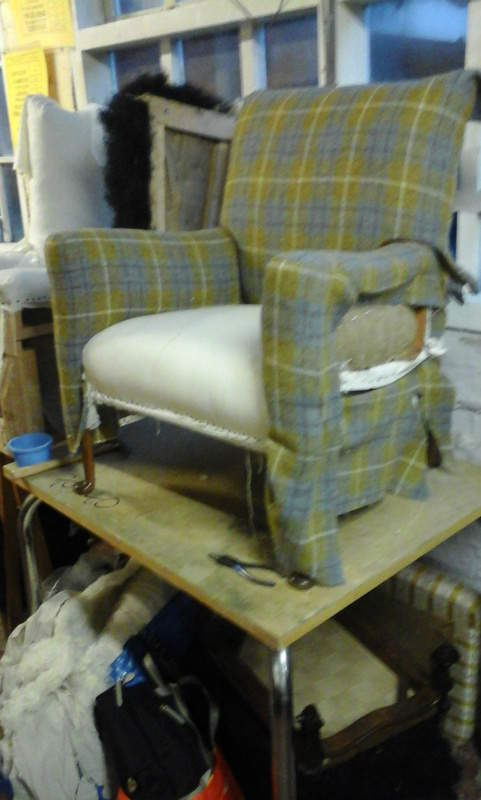 I never knew how much was involved in traditional upholstery, it's fantastic. I would thoroughly recommend this course to anyone. I go home after every class with a great sense of achievement of what I have accomplished that morning. 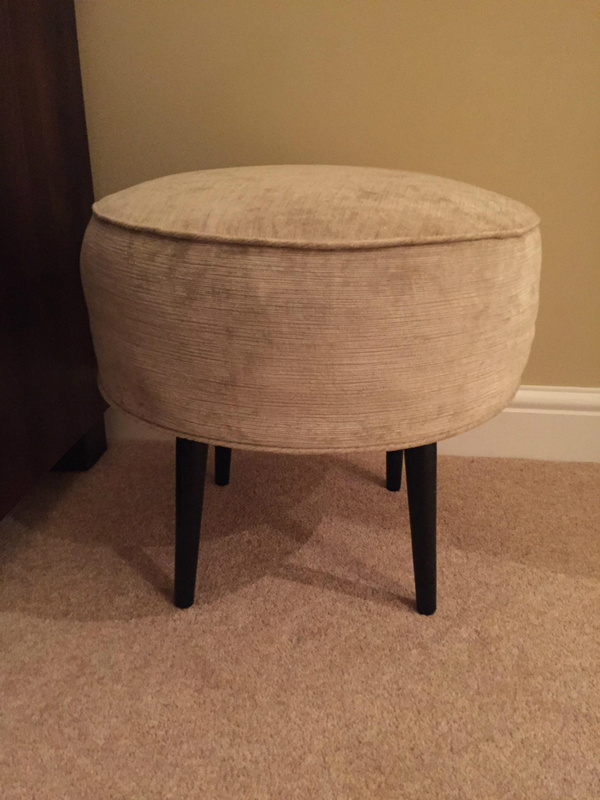 “ I only signed up for a few weeks to re-upholster a piano stool. I have enjoyed it so much I have re-upholstered 3 dining room chairs and I am now making a chair from scratch. Garry gives you all the support and confidence you need to learn new skills." Just started a 30 hour course of classes. The workshops are very friendly and relaxed and eveyone encourages each other. 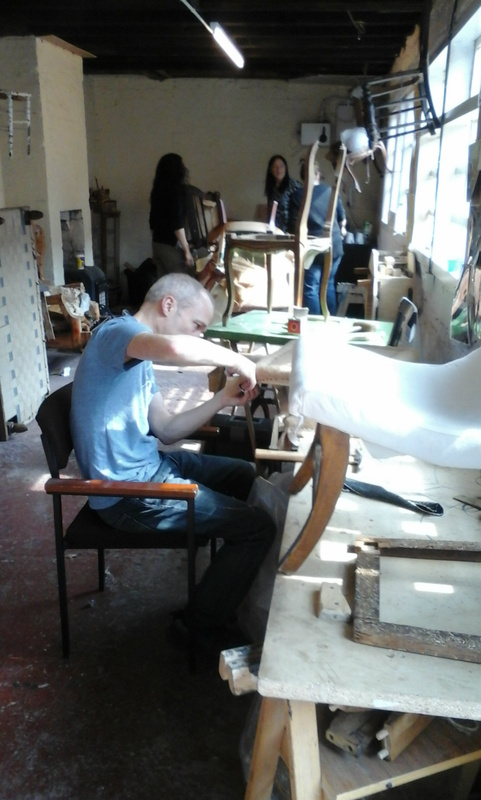 The tutor Garry is amazing he knows all you need to know about upholstery and is very hands on. I'm currently reupholstering a wing back chair and Garry is helping totally redesign which is what I wanted to learn. It's good to learn as many traditional techniques as possible. Thank you for experiencing my first upholstery workshop it was really enjoyable. I was on your weekend course. Really enjoyed the weekend and I think I might have become addicted. 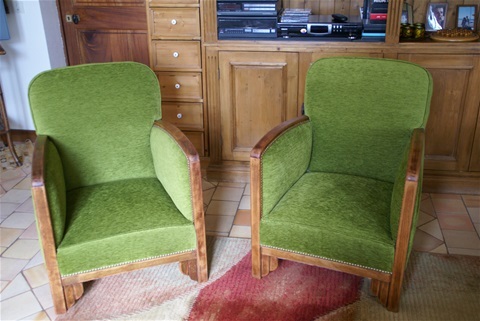 Purchased an armchair last night on a bit of a whim which will hopefully be my next project. Can't wait for my next session! Just a quick email to say thanks for the course on the weekend ! Can't wait for my next session! The class is really fun - interesting people - a great tutor - and learning a new skill- what could be better. If you've got an old chair that needs some love and attention this is the place to go. A wonderful way to learn a new skill and meet people from all walks of life. I have made some great friends and look forward each week to my classes. "Garry is very patient" and makes everyone feel very welcome. I love my new training and I am very impatient to finish my first project. I went to the taster day and had a great time and continued with my project on subsequent days.I cannot recommend the classes enough and anyone wanting to try upholstery should undertake this course.I shall be back with my next project. Thank you Garry for your knowledge and patience. Having always had a desk job and not being aware of having any practical skills, I have discovered (with a lot of patience on Garry's behalf) that my capabilities have exceeded my imagination. This upholstery and furniture restoration course has been a revelation, I have enjoyed every minute of my time restoring many armchairs and chairs much to my family's amazement. I can recommend these courses with Garry as tutor. Garry as a tutor is a very meticulous craftsman. He has a way of getting the very best results out of his students but always doing it in a nice way!! it can be slightly tiresome but he is the "maestro", having spent seven years with Garry as my tutor, its a happy and warm course where even the least pratical student achieves wonderful results. The photo s are proof of the pudding. Thanks to Garry. What an adventure! After having travelled twice to Belgium to take part in courses on the Dutch barge, I can honestly say that its great fun. We do actually acheive alot in a weeks course and at the end of the week can really appreciate how our restoration project has moved forward. 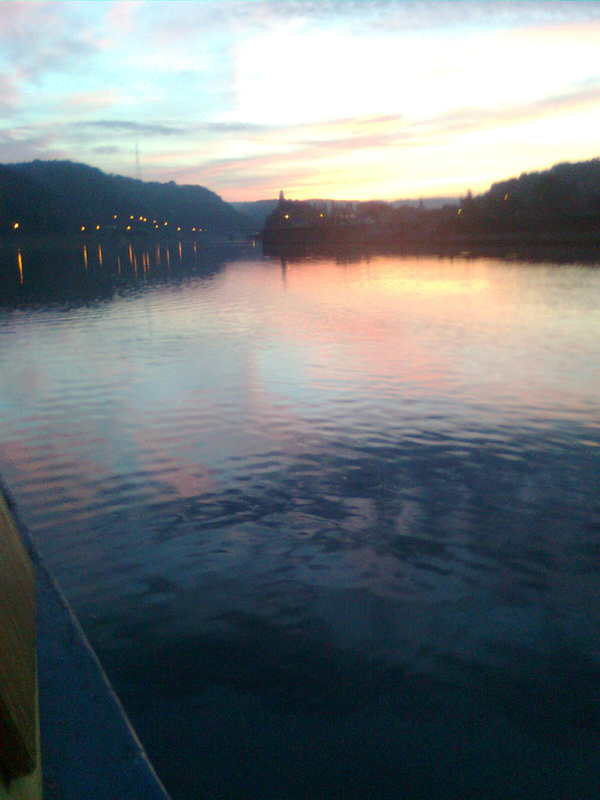 Being on a boat on the "Meuse" is to say in the least surprising. The scenery is just beautiful! The atmosphere is so relaxing that everybody seems to enjoy themselves more on the water. There were so many fun moments. I must say I discovered how warm and welcoming the Belgians are especially our hosts Meike and George, owners of the bed and breakfast. They gave us a wonderful send off on the last evening bravo to George who sings extremely well, I am booking my place for next year! And at the end of the day an amazing environment to relax after a busy day upholstering!